A while back I wrote about les faux pas, or what not to do in France, thinking I really must write a dedicated post about the two most overused words in the French language. So, here it is. Comme il faut. These two little words, il faut, are so overused because there is so much than one must do, not do, say, be, and just plain remember in France. And because they have a way of just rolling off the tongue. Il faut. One must. Like death and taxes, it’s unavoidable. An obligation. Generally followed by something else, either a verb or a verb construction. 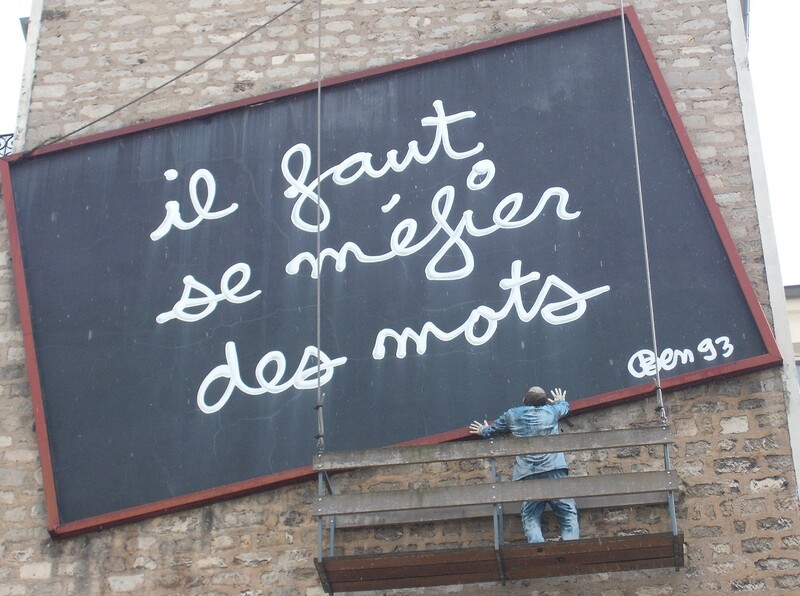 “Il faut le faire, il faut le voir, il faut y aller…” (It must be done, it must be seen, one must go…). It’s a little indirect, which is how the French prefer it. When expressed this way, there is no doubt about any semblance of a choice: you have to do the thing that comes after il faut que plus the subjunctive. When I joined the ranks of the employed in France, I learned a new use for my favorite verb: the indirect order. I was a not-so-humble assistant who was expected, in between translations and other administrative tasks, to make various meeting and travel arrangements for les cadres (the management). I didn’t particularly enjoy this aspect of the job and was perhaps a little slow on the uptake, so my boss found himself in the rather awkward position of having to spell out what needed to be done. “Il va falloir….” he would begin. At first I thought he was abstractly describing things that would need to be done in some distant future. Then I got it: he was telling me what to do. I’ve decided to a series of posts on my favorite French words and expressions. Feel free to share yours! “Sometimes il faut is followed by the the subjunctive form ” . I don’t get the sometimes . “Il faut” only triggers a subjunctive or an infinitive, but if you want to include a subject the subjunctive is the only form . I just meant it was sometimes followed by the subjunctive as it’s so often an infinitive. Thanks for keeping an eye on my grammar! Well, as I said, if you need to include a definite subject the subj .is needed ( Il faut qu’elle parte ) but actually, to go in your way, there’s a form that can avoid even this one . It uses the infinitive, while the would be subject of a would be subjunctive becomes an indirect object pronoun ( me, te, lui, leur…) . Instead of saying “il faut que je parte” one can say ” Il me faut partir ” ; “Il faut qu’elle parte” can be “il lui faut partir”; “Il faut qu’ils partent” becomes ” Il leur faut partir” . Don’t know if you knew that highly proper way, for modern French in their majority don’t know much nowadays . Indeed, I was not aware of this rather elegant indirect form. Too bad it’s not more commonly used. Thanks for sharing! I’m afraid I remember little after ‘la plume de ma tante’ from my schooldays. Great post! Il faut que je m’habitue à utiliser ces mots !